There is no question that we are facing an opioid epidemic, one that involves not only our region but also our nation. This is a crisis that concerns everyone, including businesses. How do you recognize the signs of opioids in the workplace? How can businesses fight addiction and support treatment for their employees? 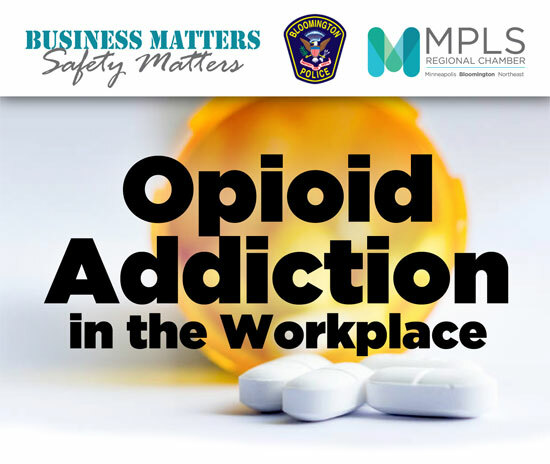 Detective Heather Jensen with the Bloomington Police Department will share how the crisis is affecting Minnesota as well as how your business can make a difference at this Business Matters, Safety Matters.